all about this faded, bubbled, rusty old paint job. It’s not about the glamor and the glitz and a rim job. 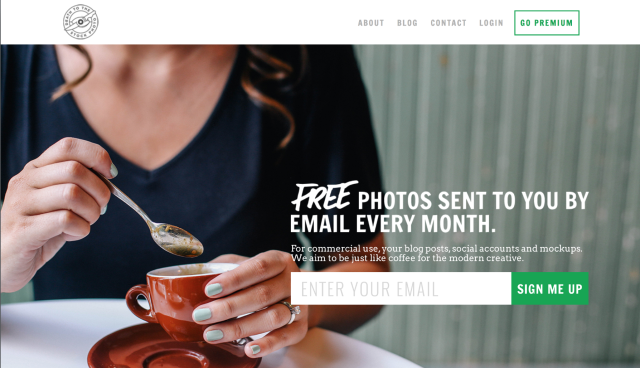 The 5 sites all bloggers should visit today. Canva guides the graphically challenged and helps you create custom designs. The site is user friendly and the high quality images are not the usual cringe-worthy stock photos some of us bloggers fall victim too. Speaking of those heinous stock photos, Death to Stock Photos is the exact opposite. Subscribers receive a free zip file of photos every month with varying themes. Sure, you never know what you’re going to get ( cue Forest Gump reference) but over time you will build an arsenal of beautiful pictures you can display on you site with pride. Photojojo is perfect for both the aspiring photographer and the well-worn filmmaker. This site a virtual candy store for anyone looking to enhance their iPhone capabilities, or the on-the-go blogger who may need a perfectly lighted fold-up studio on hand. It’s a tough fact of life, but most nonprofit organizations simply don’t have the time, resources or know-how to keep their online presences up-to-date. With 84 percent of not-for-profits lacking mobile-optimized donation landing pages, it’s clear that most organizations aren’t exactly on the cutting edge. The problem is: How can a nonprofit balance tight budgeting with frequent technological progress?